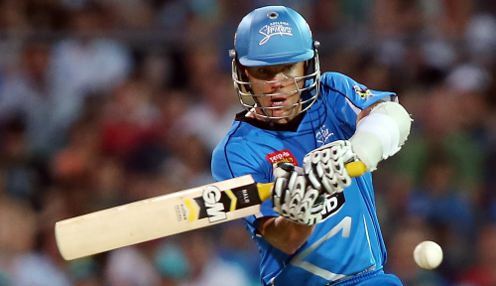 Johan Botha views Australian Chris Green as the ideal fill-in for Guyana Amazon Warriors. Australia all-rounder Green will deputise as one of the Guyanese franchise's imports as Leicestershire's Cameron Delport is unavailable for the first four matches. The South African Twenty20 international - a Kolpak player with the Foxes on a limited-overs contract - will be in the Caribbean from 17th August. It means Green will be available for the matches against St Kitts & Nevis Patriots, St Lucia Stars, Barbados Tridents and Jamaica Tallawahs. Green has played 27 Twenty20 matches, predominantly in the Big Bash League in his home country, and has also represented Lahore Qalanders at the Pakistan Super League. Botha, head coach of the Warriors, said: "Chris Green is an exciting T20 talent and we are very pleased to welcome him as cover for Cameron Delport. "As an effective top order batsman and a canny off-spinner he will add a great deal to our squad in the first half of the season." The 2018 Caribbean Premier League begins on Wednesday when Trinbago Knight Riders take on St Lucia Stars. Trinbago are 4/6 to beat St Lucia and 2/5 to hit the most sixes in the match. The versatile Green - who was born in South Africa - has a career strike rate of 137.96 with the bat and an economy rate of just 7.04 runs with the ball.